Here goes my productivity for the rest of the day week. 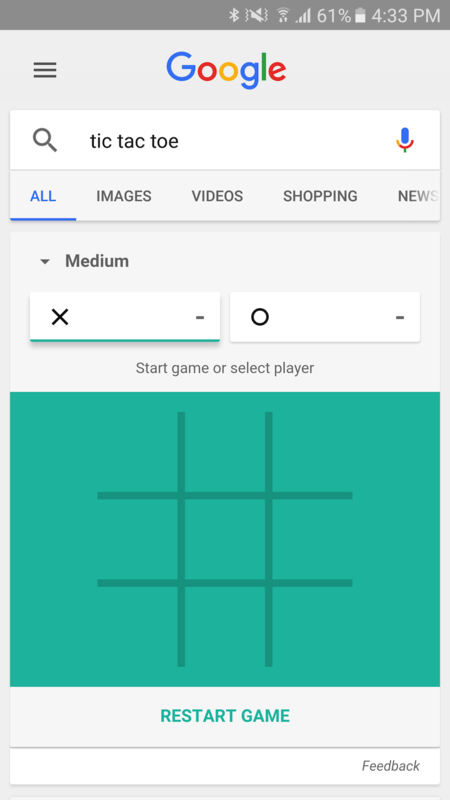 In its quest to make the search page the only thing you ever visit online, Google has added another fun trick to its search engine: Solitaire and Tic-Tac-Toe. 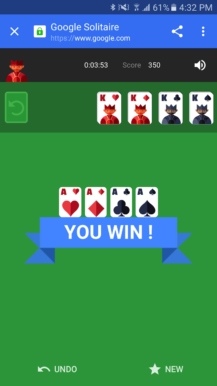 Forget about animal sounds, metronomes, bubble levels, and all kinds of other tools or time-wasters, this is what we've all been waiting for, from the moment we booted our first Windows computer to all those car and train rides in winter when we played Tic-Tac-Toe on the foggy windows, to that time we saw the doctor's assistant playing Solitaire on her computer and wished we had that to ease the long wait. This is the answer: Google it. Just search for "tic-tac-toe" or "tic tac toe" (tictactoe didn't seem to work for me) and you'll have your means of wasting 2 hours straight, at the very least. 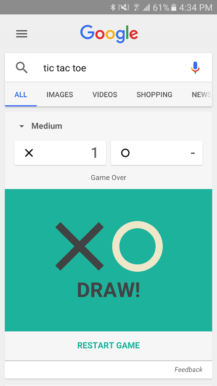 Tic-Tac-Toe shows a card in the search results with a playable game right in it. 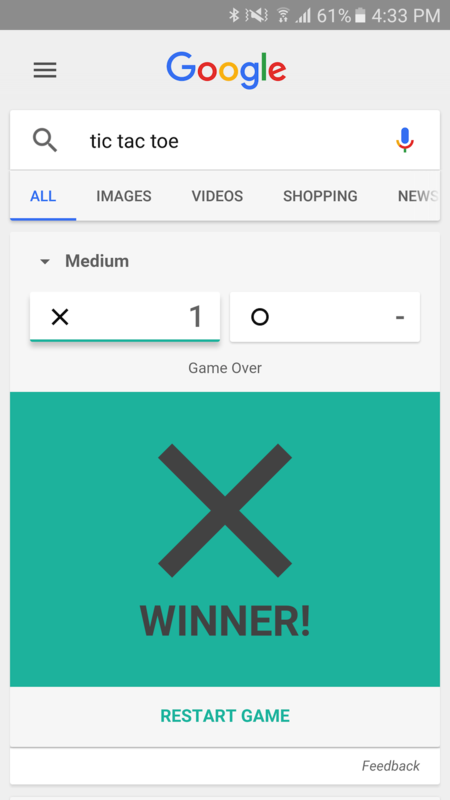 You can change the difficulty from Medium to Easy or Impossible, play against a friend, and change the turns at the start of the game to play the O and not the X. And you can go for as many rounds as you want. 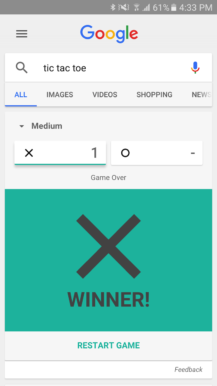 Google will tally up the results. 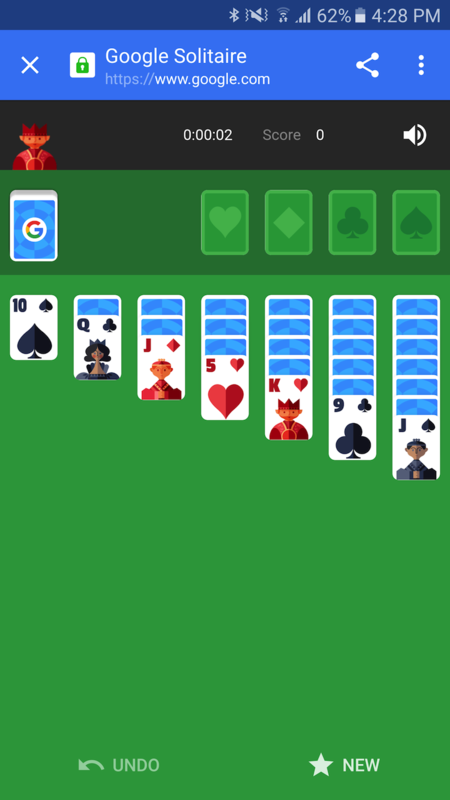 If you search for "solitaire" though, you will see the card at the top of this post (you may need to scroll down a little to find it). 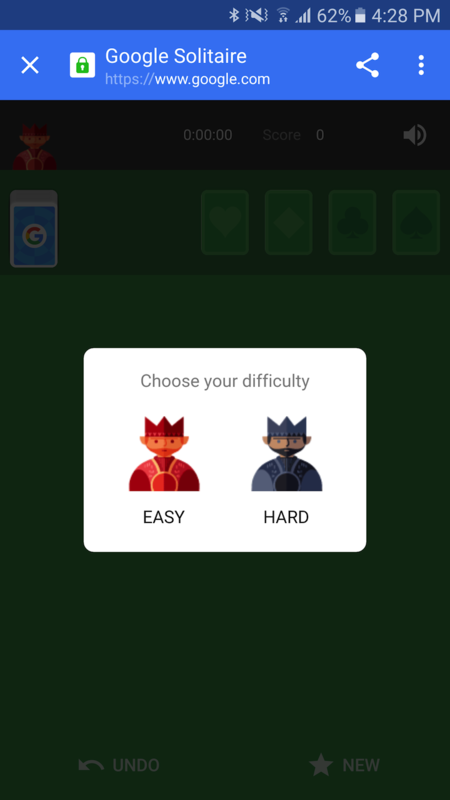 Tap it and you're taken to a page with a fullscreen version of the game. You're asked to pick a difficulty first, then you get to play the game. 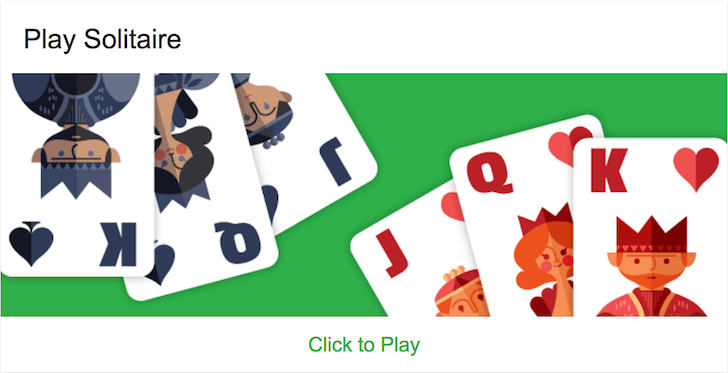 The graphics are adorable, with Google logos on the back of cards and neat designs for the jack, queen, and king. 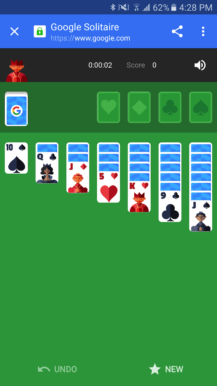 You can disable the sound, undo a move, and start a new game if you get stuck. It's worth noting that these will work in the Google app, in Chrome, and on the desktop and mobile. I'm not sure, but having the language set to English might be necessary though. If you're still reading this, I'd like to congratulate you on your patience and strong resistance to silly temptations. 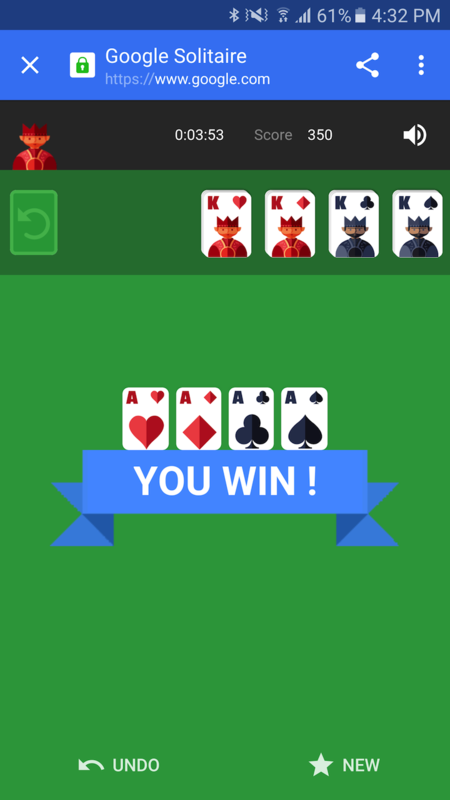 Don't tell anyone, but I had to stop writing this article a couple of times to play some rounds.